The shutdown may have temporarily ended, but the Administration’s intentions to build a wall and shut out Central Americans are the same. As negotiations continue over funding for our federal government, we need to let our elected officials know that any “deal” that harms immigrants and asylum seekers is unacceptable. Call your Members of Congress right away. The number is (844) 236-2373 and it will direct you straight to their offices. 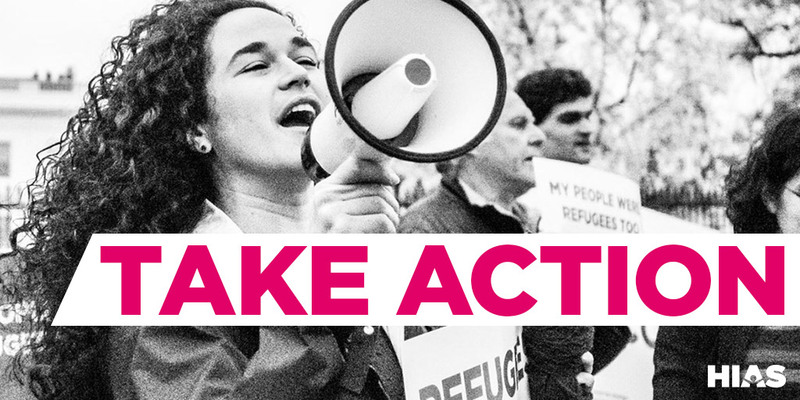 I’m a constituent from [City, State], and I urge you to oppose any “compromise” deal that funds the government by putting the lives of immigrants and asylum seekers at risk. Please do not vote for any compromise that includes provisions to turn away asylum seekers, that funds a costly and unnecessary wall, or that relies on only temporary fixes on issues such as DACA and TPS. The Administration is falsely claiming that there is a crisis at the border, with blatant misinformation about the number of border crossings and the amount of crime committed by immigrants. In fact, immigrants and asylum seekers make our country safer, and add great value to our society and our economy. Our country stands for the promise of welcome, freedom, and opportunity. We must offer safety to those fleeing violence and oppression in their home countries, and not deny them human and legal rights. The lives of asylum seekers and immigrants should not be used as bargaining chips in any negotiation. Congress needs to year from you! Help us to generate as many phone calls as possible. Ask your family and friends to join in calling their elected officials.